Reaching a new audience, while keeping tradition in tact. The Challenge: Reaching a new audience, while keeping tradition in tact. How we helped: Creating a multi-platform strategy that leveraged current brand enthusiasts to spread word about the tradition (and taste) of Esther Price. By creating high-quality, shareable content, and serving it up to the right audience, we helped Esther Price reach new audiences and reconnect with their long-time customers in fun ways. Developing online and offline experiences ensured we reached all of the right people, making new friends and keeping up with the existing ones. Esther Price was looking for a new way to celebrate key chocoholic holidays and capture the attention of a younger demographic. We utilized targeted, animated GIFs to stand out in social media feeds, building brand awareness with a new audience. 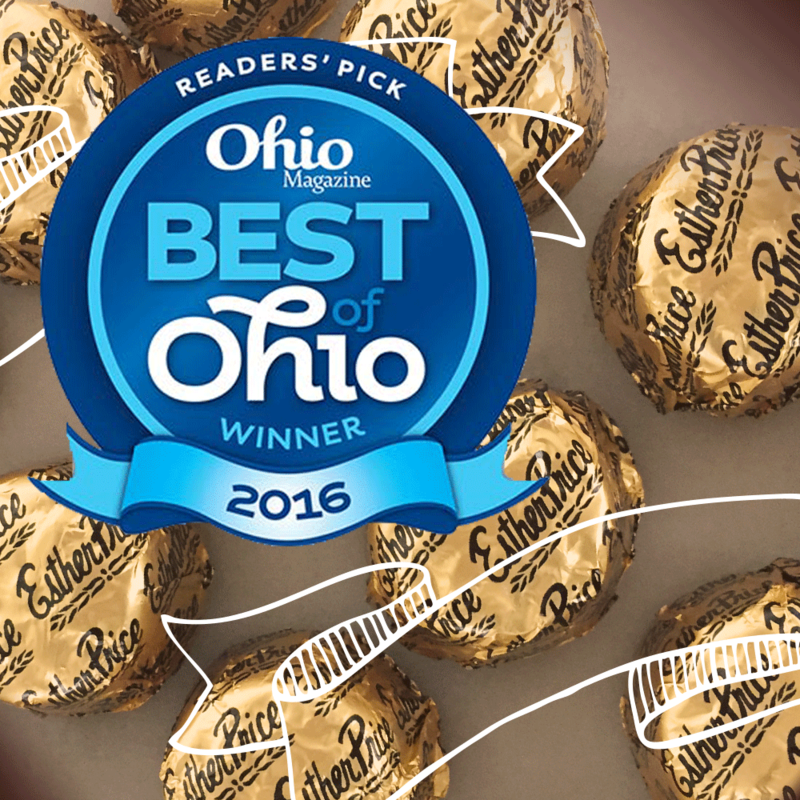 The GIFs showcased the chocolates in a fresh, playful way, while maintaining the family-friendly brand recognition of Esther Price Candies. 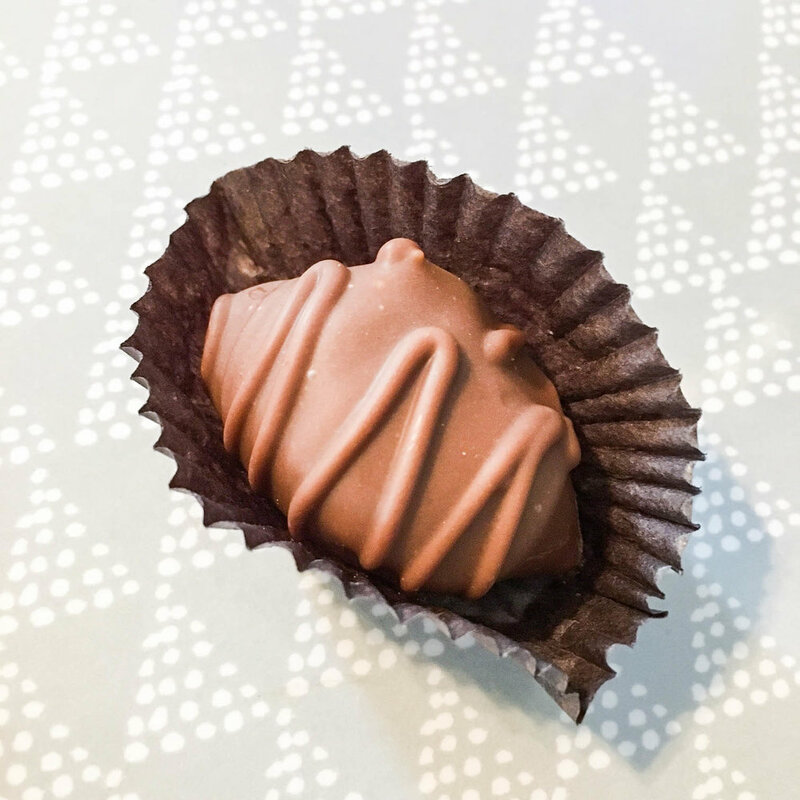 Esther Price is celebrating 90 years of creating incredible candies, which called for an experience of epic proportions. We developed special coloring contest, capitalizing on adult color book trends, where the winner could receive a 90 second shopping spree at an Esther Price location. A lot of entries and broken crayons later, a winner was chosen to fulfill their very own chocolate factory fantasy. The shopping spree engaged Esther Price fans, spread the word about the 90 year anniversary, and captured the magic and nostalgia of the brand. 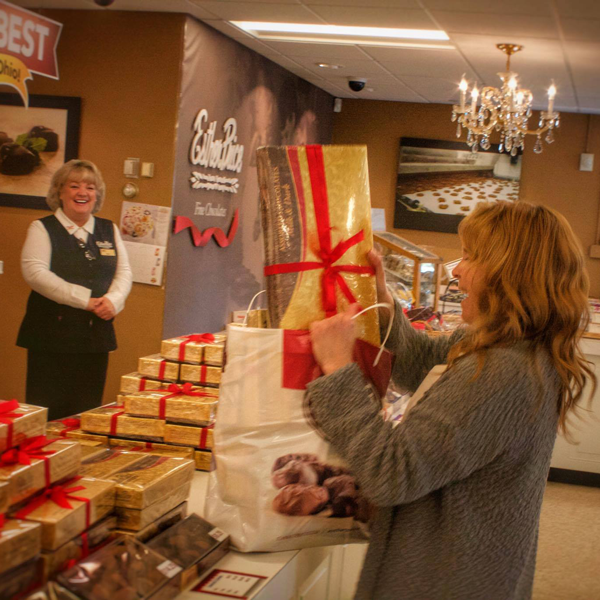 Casual, behind the scenes videos helped stimulate the purchase of chocolate during Esther Price's key busy seasons. 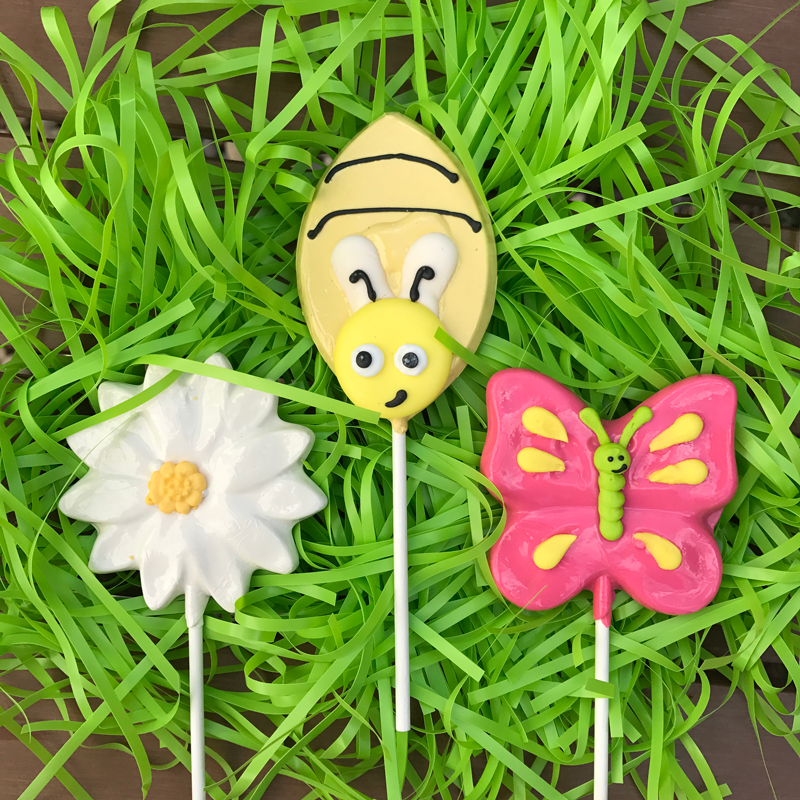 The sneak peek video generated excitement around the upcoming holiday, while showcasing the product and traditional candy making techniques that Esther Price continues to practice. Unique graphics and copy capitalized on trending topics, bringing Esther Price into the conversation while building brand recognition online.